As a security coordinator living and working in Tunisia, it didn’t take long for me to realize that security guards are not held in a positive light. Tunisians view security as a low paying and demoralizing job. Tunisians are certainly not the only ones who have a bad image of security guards, in the United States people usually refer to them in a negative manner such as “rent-a-cops”. In fact one American security professional states “It’s clear that security guards have a negative image from the public” (Herring, 2009). That being said he goes on to make the point that while the internet is filled with negative stories about security guards very few people actually go at the root of th e reason why security guards lack professionalism. The fact of the matter is that many security guards are under paid, overworked, and poorly trained. This is especially true in Tunisia where the average security guard works up to 60 hours per week and earns anywhere between 1-3 Tunisian Dinars per hour. Throw in the fact that they are usually not appreciated, work 12 hour shifts in less than ideal conditions, and are asked to perform tedious tasks; and the result is a lethal mixture of poor morale, frustration, and bitterness. After years of working with contract security companies one quickly learns one important lesson: “Most companies are more interested in the invoice than they are in their own guards.” This way of thinking by most private security companies is the main cause behind the reason why guards are so demoralized. While the administration enjoys better salaries and more humane working conditions; the guards remain disconnected and therefore resentful towards the very company they work for. At this point we could also add the fact that guards are usually working for a “third party” who view them as “outside help” at best. From experience we all know that within every profession there are those who simply go through the motions and then there are those who are truly professionals. What separates one from the other is usually a combination of training, self motivation, and a commitment to professional excellence. This commitment is a result of an individual doing something he or she not only enjoys but fits in with their perceived purpose in life. 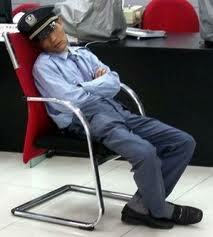 It is safe to say that most security guards neither enjoy their work nor get any pleasure from their occupation. This can all change if they are motivated in the right way. Although training, education, and monetary incentives will go a long way; they should not be the only remedies for this challenge. What needs to happen is a complete renaissance within the security world. The current world situation has provided security professionals with ideal conditions from which to engage the public and shed positive light onto the security world. This light can only benefit the security world if it is based on two important factors: 1. A genuine concern for improving not just the image of security guards, but their quality of life as well and 2. 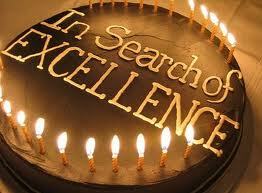 A commitment to Professional Excellence. Alan P. Rossiter, Ph.D. wrote an excellent article entitled “In Search of Professional Excellence” which may serve as an excellent model for security professionals to emulate and bring light to the security world. 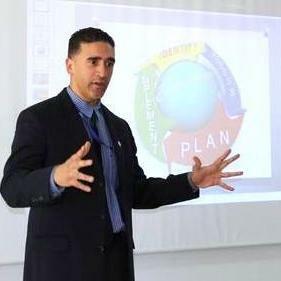 In the article he correctly points out that “Striving for excellence involves developing not only technically, but also in the areas of communications, interpersonal relationships, ethics, and more.” Although an engineer by trade, all professionals with a commitment to excellence can learn from the eight aspects highlighted within the article. For the benefit of my fellow security professionals I would like to highlight three of these beneficial aspects. 2. Invest in furthering the profession. Another great point he makes is that the “continuation and progress of the profession depend in large measure on our willingness to provide the same help and encouragement to those who follow us.” This note is especially important to security coordinators and serves as a reminder that we can not just wish our security team performed better; we must be willing to show them the way. Additionally he points out that “the profession also depends on our ability as a group to make a positive contribut ion to society and upon society perceptions of what we do“. If this statement does not change the way private security contractors view the client, guard, organization relationship, then they are beyond help. 3. The Quest. Mr Rossiter reminds us that change does not come over night and so “developing professional excellence is a lengthy and challenging process”. This rings true with the Chinese proverb that states “the journey is the reward”. The world has put out an all call for security professionals world wide to make a commitment to excellence and set new standards in professional excellence. This call must be answered in a humane and practical way that acknowledges the modern security challenges. We can learn a lot from people like Mr. Rossiter who can clearly outline why we should commit ourselves to the pursuit of excellence and professionalism. The right training and leadership will greatly improve the image of security guards and the results will benefit the industry, guards, and hopefully the world.